Espresso from the Dominican Republic. Grown in the Shade, Dried in the Sun. Each Cana Coffee bean grows in the shade at the highest-elevation in the Dominican Republic, is hand selected for quality, and goes on to naturally dry in the sun for maximum flavor. 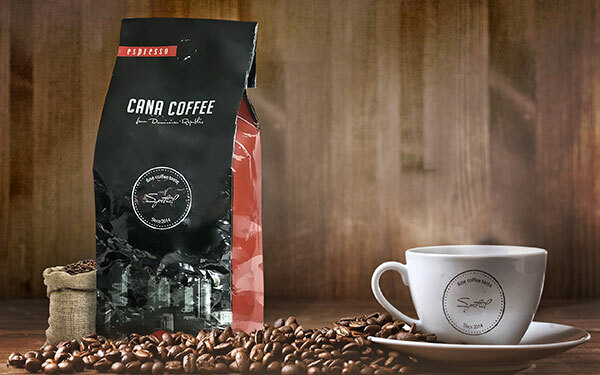 All Cana Coffee comes from one family-owned farm that has naturally harvested coffee beans for generations. 100 percent of the beans are washed and pulped the same day they become ripe. No synthetic chemicals are used in the process, and Cana Coffee’s farm practices sustainable agriculture. Located in the Jarabacoa region of the Dominican Republic, the farm is the perfect setting for producing the most flavorful coffee, with a mild climate, fertile soil and commitment to natural and sustainable harvesting.